Now that we’re both retired we have time to spend on what we like doing best. First, and possibly foremost, is biking. 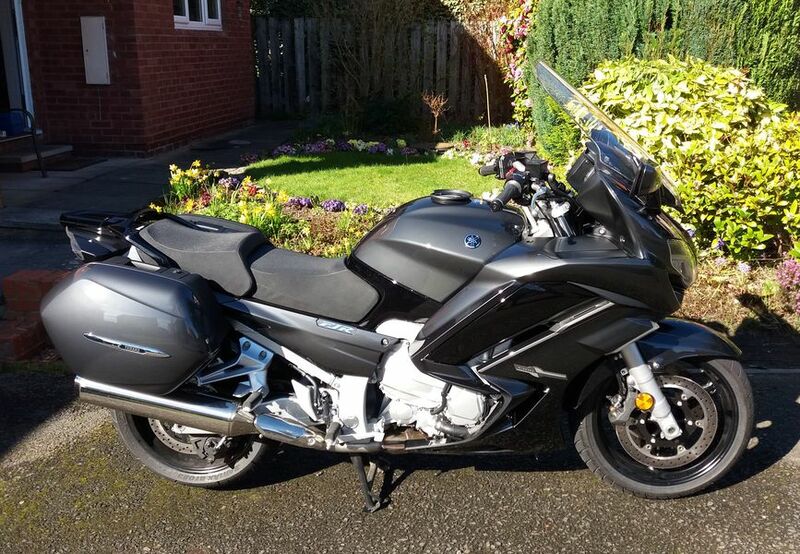 This is our current bike, a Yamaha FJR1300A. It’s absolutely ideal for our purposes. We love touring, and the FJR is able to carry plenty of luggage, yet even two-up will still overtake with ease up the steepest of alps. It’s also perfect for scratching round the local countryside (Northumberland, the Dales, the North Yorkshire Moors and the Lake District). A true all-rounder. Some years ago we found our way through the ether to usenet, and in particular to uk.rec.motorcycles. This is a popular and busy newsgroup, seldom on topic but great fun. Over the years we have met lots of the regulars and made many friends. We get together at least once a year, usually in France for the Spring Bank Holiday. We’ve also met many times in the UK. 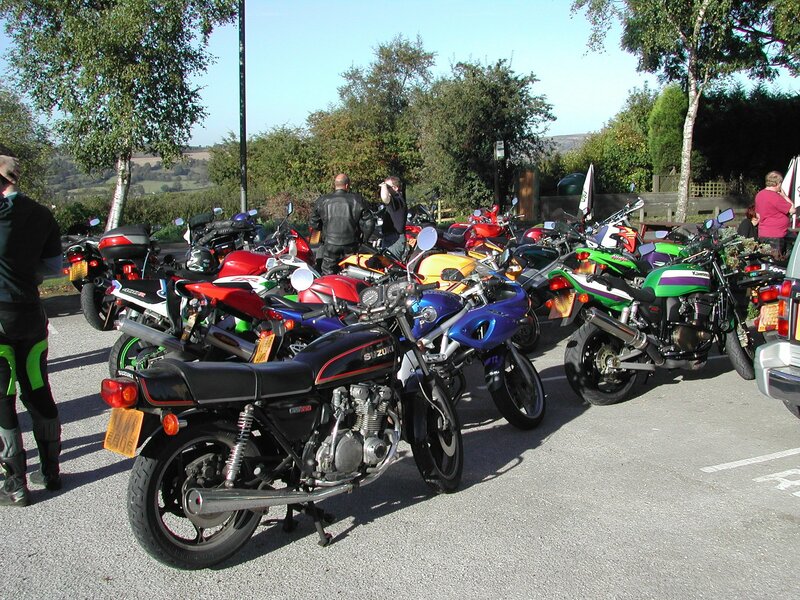 This is a representative sample of the bikes! This is us on the first of our two Yamaha Thunderaces, which took us to Ireland, Scotland and several times to the Continent. 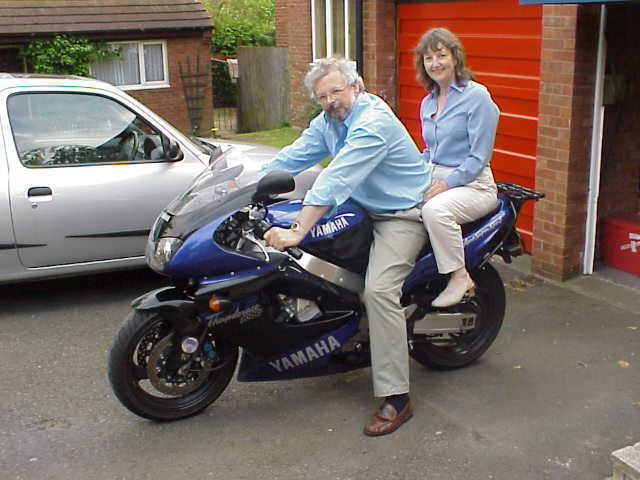 We’ve written diaries of most of our trips, both on this bike and the three later ones – see the links under Holidays. The furthest we’ve been was in 2017 on the FJR, taking in Poland, Slovakia and Hungary. That trip was also noticeable for including fewer mountains than we normally manage! Our other favourite way of spending time is on the piste! In fact, in a sense it was skiing that lead Colin to biking. He was looking for something that would give him the same sort of thrill during the summer as skiing did during the winter. Having met Pat she has come to love it as he does. 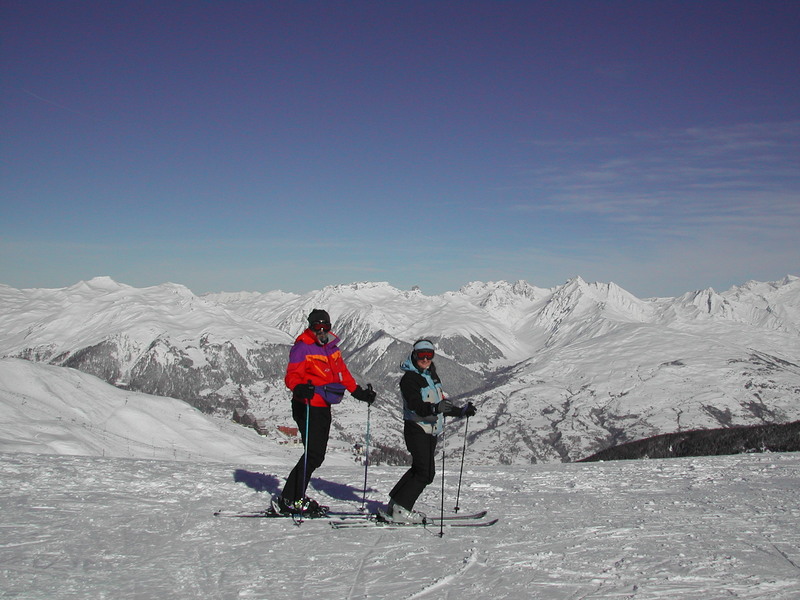 This is us in cheesy pose above La Plagne. We like France for the food, Italy for the people, Austria for the cheapness and Switzerland for the toilets. 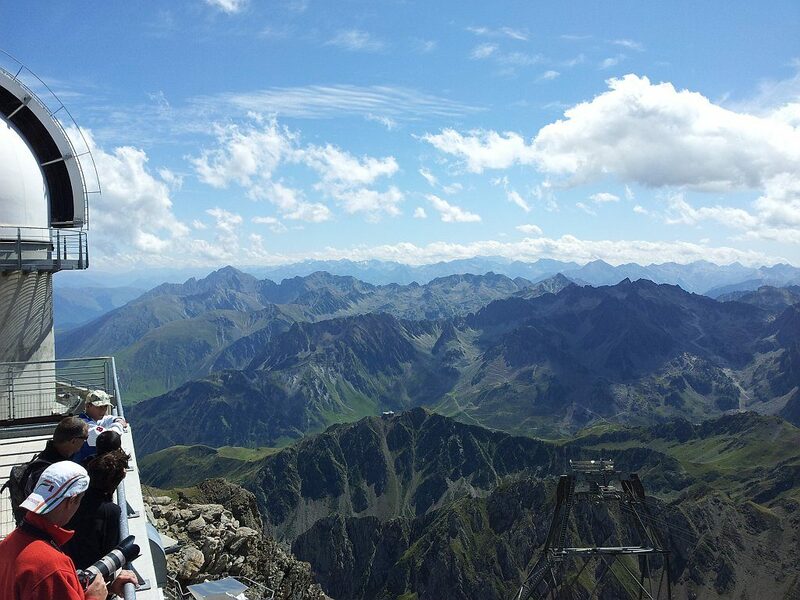 So we tend to go to Austria!